Newly named White House Chief of Staff John Kelly harkened back to his days as a Marine at Camp Pendleton and elsewhere in a statement issued after his appointment Friday by President Donald Trump. Kelly, who has been serving as Secretary of Homeland Security, served several stints at the sprawling military facility in northern San Diego County, the first time as commander of the 1st Light Armored Reconnaissance Battalion, according to his DHS biography. In 2002, he was promoted to assistant commander of Camp Pendleton-based 1st Marine Division — although most of his two years in the role were spent in Iraq. He returned to the base in 2007 as leader of the I Marine Expeditionary Force. 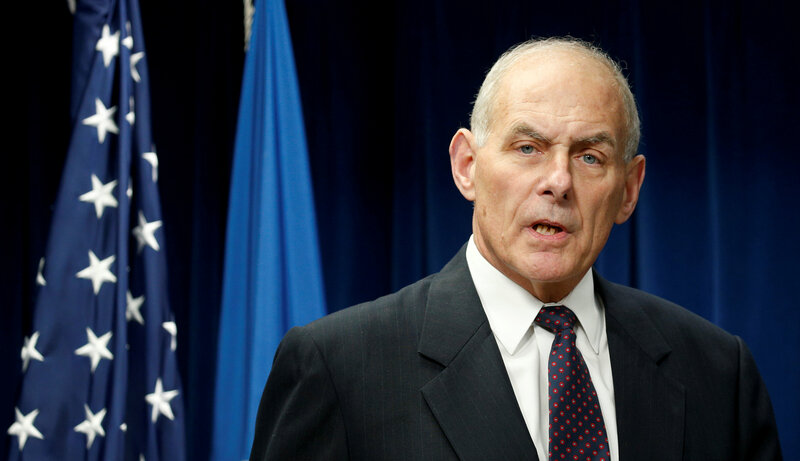 “I have been fortunate to have served my country for more than 45 years — first as a Marine and then as the Secretary of the Department of Homeland Security,” Kelly said in the statement. He said he was honored to be asked to serve as the chief of staff to the president. Kelly replaced Reince Priebus, the former head of the Republican National Committee.